Since the release of the Samsung Galaxy Note 2, many of its features have been replicated by Android developers for other devices. The most popular feature, aside from Smart Rotation, on the Note 2 has been the multitasking multi-screen/multi-window feature, which allows you to run several apps at the same time. 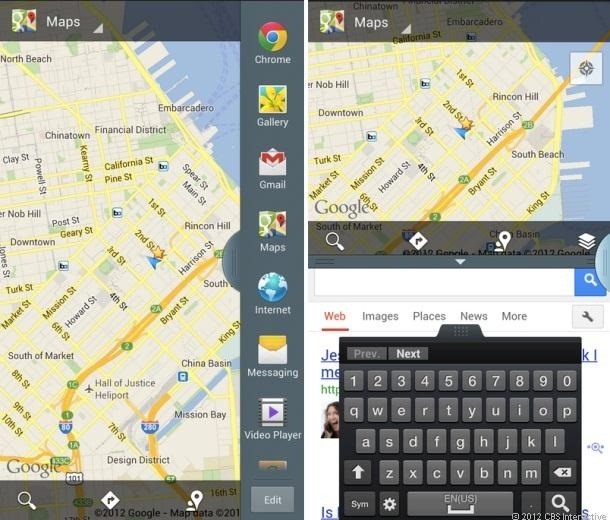 Need to get directions on Google Maps and search Google for something at the same time? 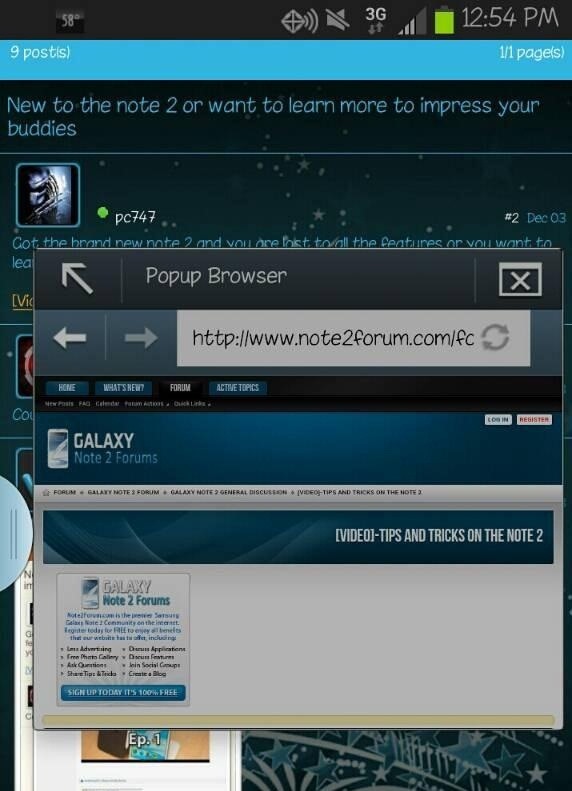 Another popular feature of the Note 2 and Galaxy S3 is the resizable popup browsers. Like the multi-window feature on the Note 2, the resizable popup browsers allows you to run two separate applications, albeit a different way. Instead of having the screen divided, the popup browser acts like floating widget while you surf through your phone. 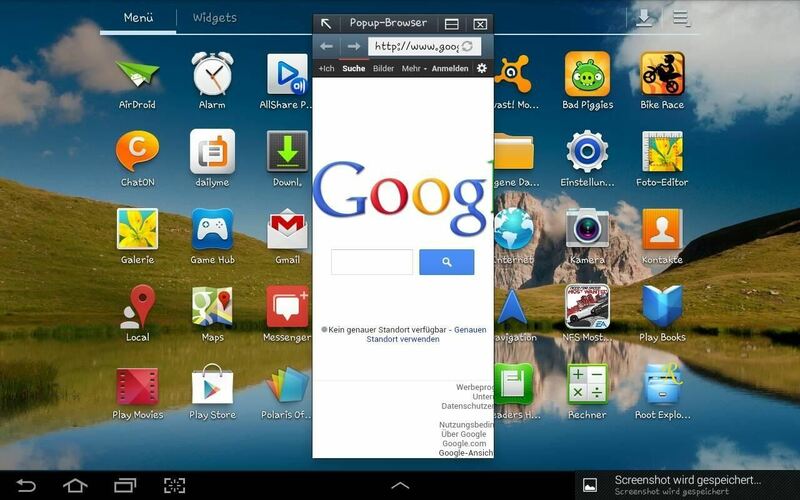 And now, thanks to XDA Developers senior member pidio1, you can have the Note 2's resizable popup browser feature on your Galaxy Tab 2! It's also successfully been installed on the Samsung Galaxy S3, too. To get this feature on your Galaxy Tab 2 (only for Android 4.1+), you'll have to download this zip file and then flash it onto your device through recovery. From the home menu, select Wipe Cache Partition and confirm by selecting Yes. Select Wipe Dalvik Cache and confirm by selecting Yes. Return to the home menu. Select Choose zip from SD Card or Choose zip from External SD Card. Choose the file you want to flash and select Yes to confirm (if you don't see it, swipe the screen to scroll up and down). After it completes, go back to the home menu and select Reboot System Now. The mod should now be installed. For more details, check out the XDA Developers thread. Hi, will this work on a rooted Galaxy Tab 2 7.0 running Android 4.1.2?